Improving the curb appeal of your home has many purposes such as impressing your neighbors, making you more proud of your investment, or preparing it to be sold. In this blog, we’re going to focus on the latter. What many homeowners don’t realize is that their home’s value isn’t set in stone. 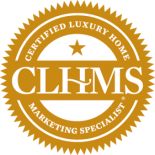 Based on the state of the market, the condition of the home, and the way it is presented to potential buyers, the value can change tremendously. 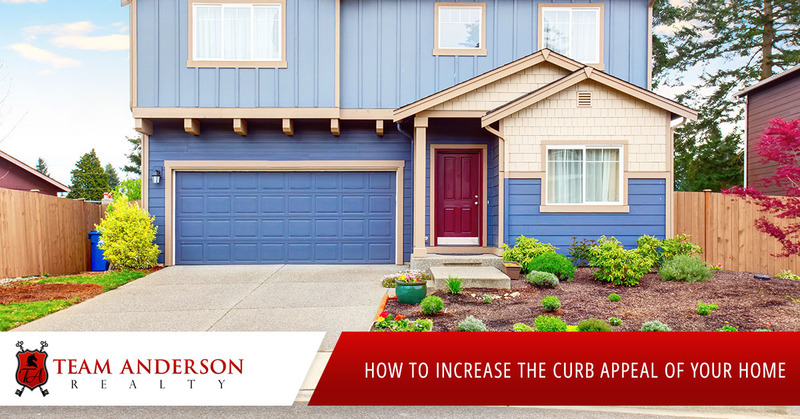 Keep reading to learn about several simple yet effective ways of improving the curb appeal of your home. 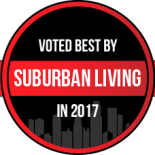 When was the last time you looked at a drab house with no vegetation and thought, “wow, what a beautiful home?” Chances are, that’s never happened! Why? Because people love color. And when that color is presented to visitors the moment they see the home, they’re more likely to enjoy the home as a whole. The great part is that you don’t have to go crazy, just putting several planters outside full of flowers is enough to catch people’s attention. Another thing that could be reducing the appeal of your home is old or worn garage doors, front doors, window sills, or siding. Although many people don’t mind their home looking a little dull or worn, to a potential buyer, these things stick out like a sore thumb. If you believe your home’s color isn’t appealing in itself, this may be a great time to try a new color if you’re going to be painting the whole thing over anyways. However, you should make sure you get a friend’s opinion before committing to it. It would be a shame to repaint the whole home only to find out it looks worse than before! Have you ever looked at something and thought there was something off about it, but couldn’t put your finger on exactly what it was? This happens a lot and the problem often has to do with symmetry. Although it may be strange to think of your home in terms of symmetry considering it’s not intended to be a piece of art, but hear me out on this. Homes that are symmetrical have a nice clean look to them and they’re comforting to look at. On the other hand, homes that don’t tend to look disorderly and messy. Depending on what is causing this, the fix could be as simple as moving a couple planters around or as difficult as redoing your landscaping entirely. The most important thing you can do when trying to increase the curb appeal of your home is to step into the shoes of the buyer and imagine what their impressions would be seeing it for the first time. Taking a fresh look at your home with that in mind will help you notice flaws that you had never noticed before. Maybe there are more cracks in your driveway than you thought; maybe your deck looks dirty or clutter, or maybe it doesn’t look as welcoming as you had originally thought. Also, it never hurts to get the opinion of a few friends or neighbors. If you want to have an easy time making your home as appealing as possible before you put it up on the market, you’ll need to speak with a professional real estate agent. Not only can a real estate agent help you get your home to peak condition before potential buyers are exposed to it, but they will help you through every step of the sales process. 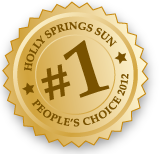 Contact Team Anderson Realty for a dependable realtor in Holly Springs.